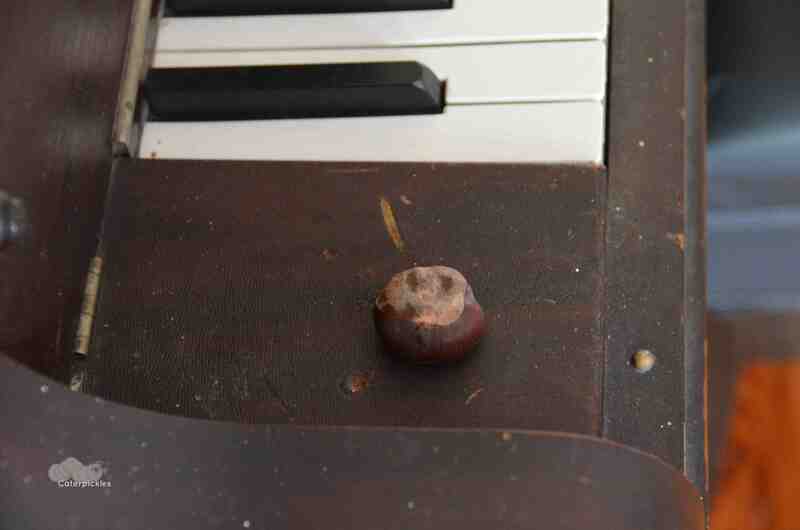 In the process of very thoroughly cleaning out my piano, my piano tuner found this bizarrely large acorn tucked away inside. 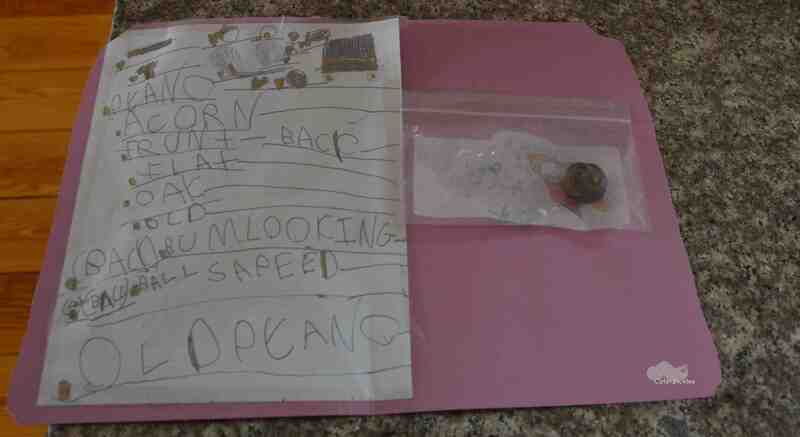 The Six-Year-Old and I have no clue what possible connection there could be between 1901 Everett uprights and 1.25″ acorns, but she is determined to find out. Here’s her file on the case. Insight from our readers would be greatly appreciated. Turns out, no. Based on the picture I sent her of it, Mila at the American Chestnut Foundation kindly identified my chestnut as the very toxic horse chestnut type, not the deliciously roastable American chestnut kind. She also sent me a link to a webpage that explains the difference between the two trees, in case any of you are interested. What’s the American Chestnut Foundation? About 75 years ago, a bit of bark fungus caught a ride to New York on a chestnut tree imported from Asia. Chinese chestnut trees had become immune to this fungus over the years, but the billions of American chestnuts in our forests at the time were highly susceptible. The blight spread rapidly, wiping out the American chestnut population almost completely. Once upon a time 25% of the trees in the Appalachian forest were American chestnut trees. Today fewer than 100 American chestnut trees larger than 60 cm in diameter remain in the woodlands of eastern North America (there are still American chestnuts in the western part of the country, because the blight hasn’t taken hold there yet). The American Chestnut Foundation is dedicated to increasing the blight-resistance of the American Chestnut tree, as a step toward reintroducing this once vital hardwood back into our eastern forests. Tagged: American chestnut, American Chestnut Foundation, chestnut, Everett pianos, horse chestnut, The Everett Piano Company, what happened to American Chestnuts? I don’t think it is an acorn. It looks like a chestnut to me.